A nonprofit organization which is famous for its “Hate Map” and “Hatewatch” column, targeting what it calls America’s “radical right,” could soon find itself the subject of a congressional investigation following revelations of its own alleged hateful behavior. 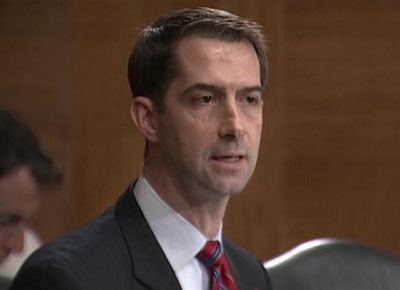 “I’ve long been troubled by the Southern Poverty Law Center’s activities, which are centered on serial defamation of its opponents, not on civil rights litigation, as its founding charter says,” Cotton told The Washington Times. Cotton cited another issue: The SPLC’s bringing in Tina Tchen, onetime chief of staff to first lady Michelle Obama to advise on workplace culture issues at the organization which has an endowment of half a billion dollars. “It really has become little more than a left-wing slush fund, and now that Mrs. Obama’s former chief of staff, Jussie Smollett’s legal fixer, has been brought on board, it raises genuine suspicions over whether the Southern Poverty Law Center will be even more politicized and will expressly be supporting Democrats in the next election,” Cotton said. On March 14, Morris Dees, 82, who founded the Southern Poverty Law Center in 1971, was fired. SPLC President Richard Cohen announced his resignation March 23, and legal director Rhonda Brownstein stepped down the same day. A report by The New York Times detailed several complaints by both current and former employees that indicated a “climate of intolerance” in the workplace – complaints including sexual harassment and a lack of diversity based on race and gender. In addition, 60 of the SPLC’s favorite center-right targets called in an open letter on April 3 for the organization to release emails reportedly from fed-up staffers in a revolt that led to the toppling of the leadership. The letter also asked media outlets and corporations once again to quit relying uncritically on the SPLC’s “hate” designations, which lump leading Christian and conservative organizations such as the Family Research Council with racist outfits such as the Ku Klux Klan and the Aryan Nation. In June 2018, the SPLC reached a settlement with anti-extremist organization Quilliam resulting in an apology and a $3.375-million payment to Quilliam for wrongly naming the group and its founder as anti-Muslim extremists.